Robert Conquest (left) was an extraordinary man in the seamless way he combined his literary with his historical endeavours. He was also a notable public figure in British, European and Western life. I first heard a poem by Robert Conquest when I was thirteen years old and an English master at my school read out the “Excerpt of a Report to the Galactic Council”. So I knew him as a poet many years before I had any idea about the astonishing contribution he made to the analysis of Soviet totalitarianism. The book that made a worldwide impact for him was The Great Terror, published in 1968. We all now use the term “the Great Terror”. Robert Conquest invented it. It was used only privately in Russia before communism started to collapse. Now it is used generally. Millions of people were killed in 1937 and 1938. Millions of people were also killed, starved or otherwise abused both before and after, but especially in that two-year period of the Great Terror. The euphemism that was applied to it was the period of the cult of the individual. Robert Conquest tore down the veil of preposterous euphemism and called things by their names. His poetry, for all its wonderful refinement, is similar in its determination to use plain words when plain words will do. The basic Conquest interpretation of totalitarianism is one with which I overwhelmingly agree. That fine book, The Great Terror, was welcomed by people who accepted a fundamental set of ideas. This was that the USSR had invented a one-party, one-ideology terror-based state that poured people into its Gulag labour camps; that it systematically built up propaganda in favour of militant atheism; that it practised legal nihilism—these ideas were fundamental to Robert Conquest’s oeuvre. The remarkable achievement of the book was that it was welcomed by people along the political spectrum from Trotskyists through the middle of Western political life to the further reaches of the political Right. Robert Conquest was an open-ended writer. You could read him and find out what you wanted for yourself. But when reading him, you could not overlook his essential message that there was something utterly rotten about how the Soviet model had originated and developed in Russia and how it was spread, not just to one or two countries, but to a third of the world in the six decades after the October revolution. As a public figure, Robert Conquest insisted that something had to be done about removing the communist blight. The result was that whereas he was welcomed for having written The Great Terror, he was shunned and disliked by many who rejected his appeal for action against communism worldwide. He urged that it simply wasn’t right for Western policy to ignore the fate of Estonia, Latvia, Lithuania and the countries to the west of those Baltic States. He declared that a much firmer Western policy was morally and practically desirable. And he pursued this objective throughout his literary and political life, a life which made him a controversial figure. He is no longer controversial, for the basic reason that most of his ideas now form part of the conventional wisdom. They weren’t greeted in this way at the time when he was first expressing them. He had to stand up for them against a blizzard of criticism. And he stood up for them from his own particular intellectual viewpoint, which is what attracted me to his way of thinking. Unlike Conquest, most people who characterised the Soviet Union as a totalitarian state assumed that nothing could ever change inside that state—the idea being that everything had to be changed from the outside, if change was ever to happen. Conquest drew attention to the internal dynamics of dispute and dissension and to the obstacles that the leadership faced in imposing communism upon a recalcitrant, passively resistant population. He was interested not only in the leaders but also in the people who were being pushed into communism. Conquest had always occupied himself with the process of communisation. 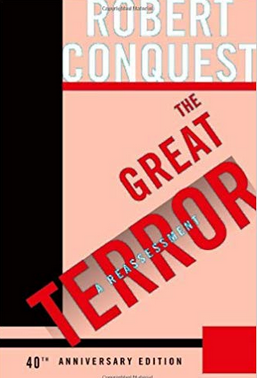 And the book he wrote that was conceptually still more important than The Great Terror was one from seven years earlier, Power and Policy in the USSR. Here he laid out in a remarkably prescient way the difficulties that the Soviet political leadership encountered in imposing its will permanently on people who did not want to accept all the doctrines of communism. This leads to questions about what twentieth-century communism really was like. It was a one-party state. It was a state that, in most communist countries, imposed a single acceptable ideology. It disseminated a militant version of atheism. It regarded itself as having the right to mobilise its own society whenever it wanted, regardless of what the society wanted. Another extraordinary thing about communist societies—absolutely all of them, without exception—is how they placed broadcasting and travel bans on their citizens. Each one of those societies operated on the premise that communism was so good that its people should be prevented from hearing foreign radio signals and from journeying abroad unless they were compliant with the purposes of the communist leadership. And yet in all those countries the human spirit was never totally crushed. Totalitarianism, in other words, was never totally effective. The human spirit survived. And perhaps the oddest thing of all about communism is its deeply reactionary impact on all the societies that we know about, whether it is Poland, China, Russia or Georgia. In all these countries it was the same story: the old medieval, tribal or feudal networks were being eroded by the process of modernisation before communism came to them, the erosion was halted by communist revolution, and even communists themselves huddled together in self-defence against the depredations of the central communist leadership. Communism pretended to modernity while reimposing older patterns of governance. And in Putin’s Russia today it is still the case that patronage networks and the like are important features of public life. It is also true that communist systems, if they lasted any length of time, tended to alternate between periods of purge and mass violence and periods of accommodation with societies that simply won’t put up with communism and will engage in forms of passive resistance. So the traditions of family and friendship groups and literary circles become little oases in which communism is quietly, not violently, resisted. Now it isn’t an accident—and what I’m trying to say here flows out of what Robert Conquest wrote—that this pre-modern way of organising society emerged in communised country after country, first in the Soviet Union but then after the war in Eastern Europe and in Asia. It’s almost a scientifically detectable consequence of communisation. Communism deluged the world with boasts about its successes. Joseph Stalin talked of how iron and steel production had increased through his first five-year plan between 1928 and 1932. His was a five-year plan completed in only four years—in other words it wasn’t very well planned! It was the plan of the whip and the knout—not of scientific planning. Soviet communism, which constituted a model for communism in power elsewhere, could prove adequate in producing armaments and capital goods but was woefully deficient in spreading the benefits of industrial growth to the consumer sectors of society. In Stalin’s time the communist leaders were able to cope with the difficulty because several Western economies were willing to trade with the Soviet Union. 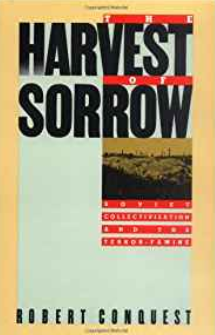 Stalin starved the Ukrainian and southern Russian peasants into submission, as Robert Conquest showed in Harvest of Sorrows, and sold the grain abroad. This enabled him to buy German technology in order to industrialise the USSR, and then when Hitler came to power he bought American technology with the same objective. After 1945 American policy changed and embargoes were placed on the transfer of advanced technology that might have a potential military use. Communism had to find its own ways to develop itself. It failed to do this to a level that satisfied its societies. Years ago I wrote a world history of communism and scoured the United Kingdom for advice about which consumer goods had been invented in a communist country and were then sold to the rest of the world. I could come up with only one important achievement: the Rubik’s cube. It was communism’s most spectacular success as a consumer product, but it was the only one I could find. The alternative for the Soviet communist leadership was systematic industrial espionage. If you couldn’t develop it yourself, steal it! But even if you stole it, what did you do with it? How did you spread it through your society? Until very recently no communist society has managed to pull off that trick—I’ll come to China in a moment. The vicious winter grips its prey less tightly. This is a powerful statement about the way many Western minds were gripped by false ideas about the wonders of Soviet communism. Country after country after the Second World War had communism imposed on them. Some of those countries had infinitesimally tiny communist parties at the moment when the Red Army entered from the Soviet Union and the process of communisation began. People started to believe that they had to live with communism. Abroad there were no longer many people who were applauding what was going on. But jumbled versions of communism emerged again in the generation when I was a student in the late 1960s—versions of communism involving applause for Trotsky, acclaim for anarchism, enthusiasm for Che Guevara as if all these things added up to a coherent picture of the world and a desirable route to a better future. That’s now all largely in the past, though it hasn’t totally disappeared. In the 1970s Eurocommunism reared its head—yet another version of communism, which suggested that a path different from the Soviet path, distant from Leninism, was possible in Europe. It disappeared with the dying away of Soviet communism. Communism as an idea faded from view. One way it faded was that the Soviet Union started to reform itself because its leadership voluntarily and idealistically recognised its lack of competitiveness with Western states, militarily and economically. That is the story they told us in the late 1980s. What they didn’t tell us, which is something I feel strongly about, was that Western pressure on the Soviet Union began to tell. The Soviet leadership had had four or five decades of technological embargoes. No amount of industrial espionage could surmount the effects of the quarantining of technological inventiveness. 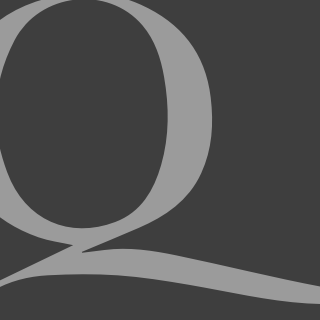 Robert Conquest played his part in stiffening the resolve of the West. Western leaders, not just Reagan but American presidents in general before him, including even Jimmy Carter, placed economic pressure on the Soviet Union so that in a world of two superpowers it became obvious that one of them was running while the other could only limp along. Gorbachev got his chance in power partly because he was committed to reform, but partly also because the rest of the Politburo recognised that they had tried every other way of running their country and nothing was providing a solution. So they gave Gorbachev his head when he argued that if only the Kremlin offered a peace policy that had an impact on the alleged warmonger Ronald Reagan it would become possible to release funds sufficient to be able to undertake deep internal reform. This proved to be utopian. Indeed Gorbachev’s ideas were a primary factor in the collapse of the USSR. He would never have been allowed to impose them if the Politburo had not accepted, however reluctantly, that reform was an urgent necessity. Gorbachev didn’t understand the chemistry of communism. He didn’t understand that without a one-party state, without a one-ideology state, without a degree of political repression, the whole system would start falling apart. If the intelligentsia could criticise past leaderships then what hope was there for Marxism-Leninism? What was the point of the founding ideology of the October Revolution? The whole system started to implode in consequence of Gorbachev’s reforms. But we would be wrong if we thought that firm Western policy didn’t play its part in that process. And then a remarkable thing happened as the Soviet leadership was pushed into retreating from Africa, from parts of Asia such as Vietnam—where the USSR was given no chance of doing anything but retreat if it wanted to have better relations with the People’s Republic of China—and from Eastern Europe in 1989 and 1990. One of the most extraordinary subsequent developments in world politics was the rise of one of the few remaining communist states, China, from economic ruin into global prominence. This occurred in the wake of the geostrategic decision by the Nixon White House to use China as a pressure point to be aimed at Moscow. In the 1980s funds and technology were provided to spark Chinese industrialisation. Communism in China has produced what is at the moment a completely unexpected hybrid: a communist society where consumer goods production is generally effective and the invention of goods is a standard phenomenon. We don’t know how brittle the tension may prove between a one-party repressive state and wild capitalism. It may be much more brittle than we imagine; but at the moment it is the one great exception to the general picture that I have been presenting. Anti-communism in Russia is headed by Vladimir Putin, himself a former communist and lieutenant-colonel in the KGB and, in Yeltsin’s Russia, a director of the FSB. Anti-communism as expressed by Vladimir Putin borrows from the tool kit of communism. It borrows many of the techniques of propaganda and political oppression that were used in the 1960s and 1970s in the USSR. But it’s different. It is anti-communist in ideology; it is anti-revolutionary because it does not want another revolution in Russia, for obvious reasons. Nevertheless under Putin there is a reduction of scope for real political pluralism, and for democracy and the rule of law. Probably the more dangerous phenomenon in our world that bears a similarity to twentieth-century communism is Islamist jihadism. Islamist jihadism in the Middle East, in Afghanistan and other parts of the world borrows much of the communist tool kit—communists invented the one-party, one-ideology state, but it’s usable by other ideologies and is being used by ISIS today. Western powers are in a deep quandary at the moment. It’s not like the situation from the 1920s to the 1950s—there is no longer one great enemy, no single superpower that Western powers have to confront. Moreover, there is no single, coherent Western political alliance any longer—there’s no definite political understanding shared between the countries from Poland to Spain and across the Atlantic to Canada and the United States. One of the dangers of the period in which we are living is even more basic—there is no consensus about shared values any more. Particularly in the last three or four years there’s been a shattering of the glass of consensus. We live in a much more dangerous world than we were living in even five or ten years ago. But I know that if Robert Conquest were here with us this evening he’d be saying: pull yourselves together, think about what you need to do, think about what your basic values are and get together to construct a world that is worth living in. Robert Service, Professor of Russian History at Oxford, has written biographies of Stalin, Lenin and Trotsky. His most recent book is The Last of the Tsars: Nicholas II and the Russian Revolution. This article is an edited version of the speech he gave in Budapest recently on receiving the Robert Conquest Prize for Truth in History. Channelling Jordon Peterson or is JP Channelling Mr Conquest.